I've nearly caught up with ATW, part 4 was released during July and I managed to finish part 2 during the week. 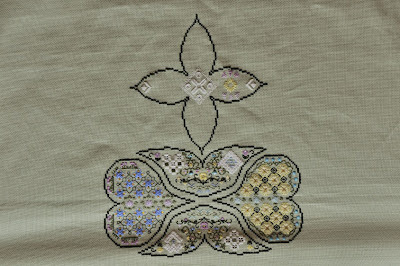 Must admit that I didn't like the Mordvinian Stitch at all and frogged it after using 2st of white changing it to perle. 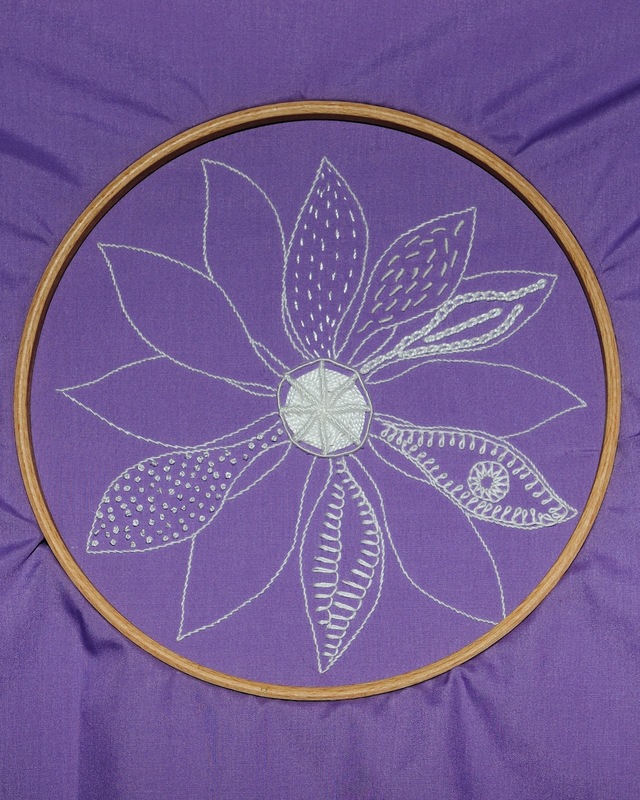 Started on part 3, this part has 2 versions; a cutwork and a speciality. 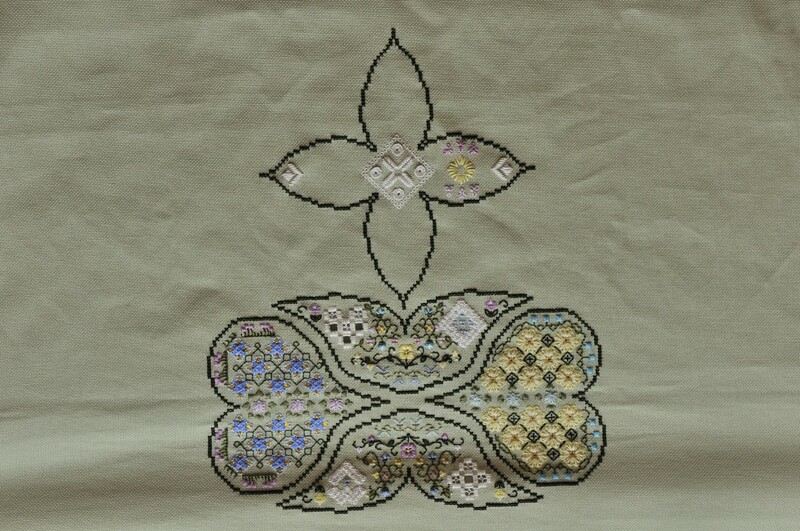 I've decided to use both so the side petals will be in speciality and the vertical petals in cutwork. I've also been working on some of the TAST challenges, you notice I say 'some'. That's because some of the stitches I've used so frequently in lots of different ways that I will admit that I've skipped that week and waited for something that I've either not done before or that I need practise on. 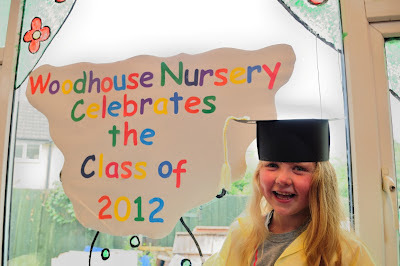 Finally our daughter Darcy finished nursery on Friday 20th as she'll be going to 'big' school in September. The nursery had 28 children leaving so decided to hold a graduation party for them all...here's a photo of Darcy at her graduation. 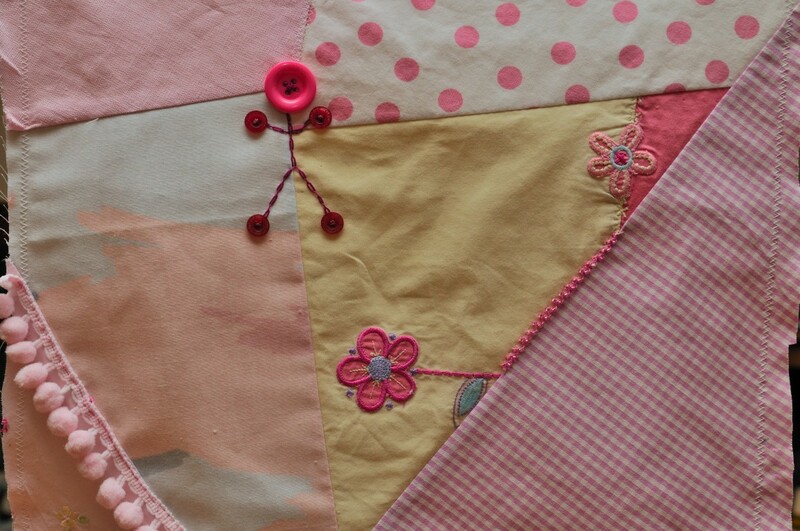 What beautiful stitching, and congrats on Darcy's graduation, so cute. 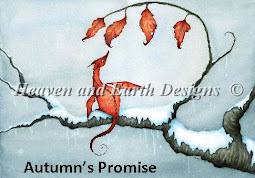 All your handiwork is just beautiful, Jo! I adore the colors you're using for ATW - so soft and pretty! It should be a pleasure to work with such colors. Darcy is adorable too. You always seem so happy, Jo... you must be a happy wife and mother, and it shines through in your attitude! 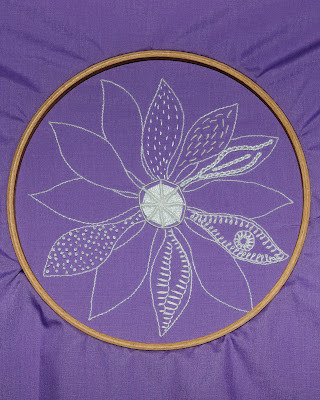 Like the purple flower and the quilt block projects, have not seen either of those before. CITA is looking very nice. Thanks for sharing a pic of your little girl with us. Congrats to Darcy. She's a big girl now!! Awesome, Jo. 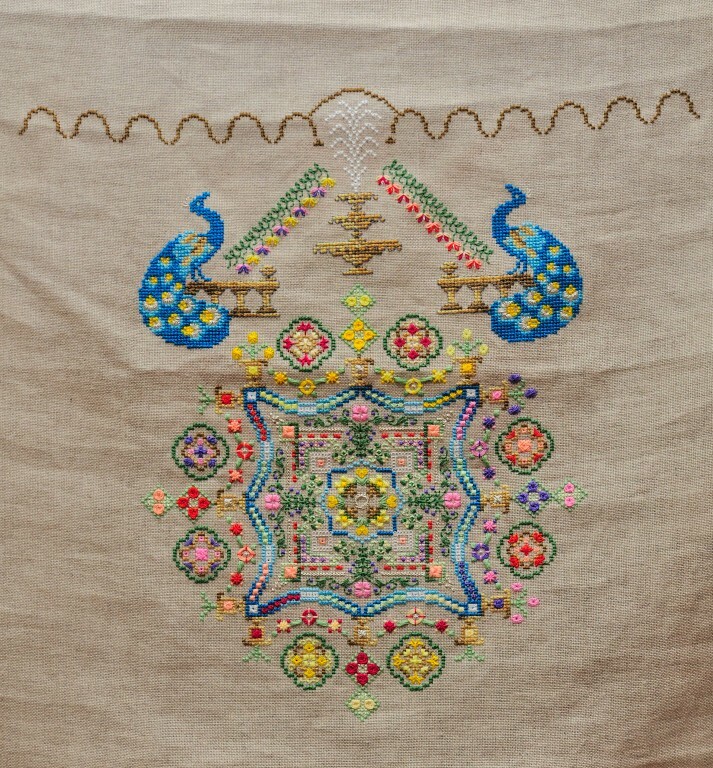 And great job on all the stitching. Your CitA is fab. I love the bright colors. Congrats to Darcy !!! All of your stitching looks great. I really like the purple flower.